In today's world of widespread broadband and increasingly ubiquitous WiFi, some people frankly balk at the thought of using flash drives. Those of us who ignore the naysayers still have had to accept the reality that our trusty flash drives that proved so useful while we sat at PCs aren't quite as useful when transitioning to smartphones. A 32GB flash drive filled with music is awesome when I want to pump music from my laptop, but it's a brick when I want to listen through my phone instead. This is why the new Leef Bridge flash drive for Android devices, Macs, and PCs is a pretty big deal, despite coming in a small package. 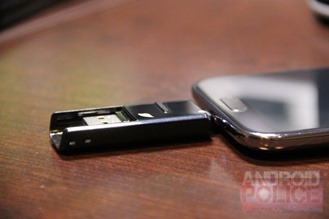 Leef Bridge is the first flash drive that can be plugged into both computers and Android devices. 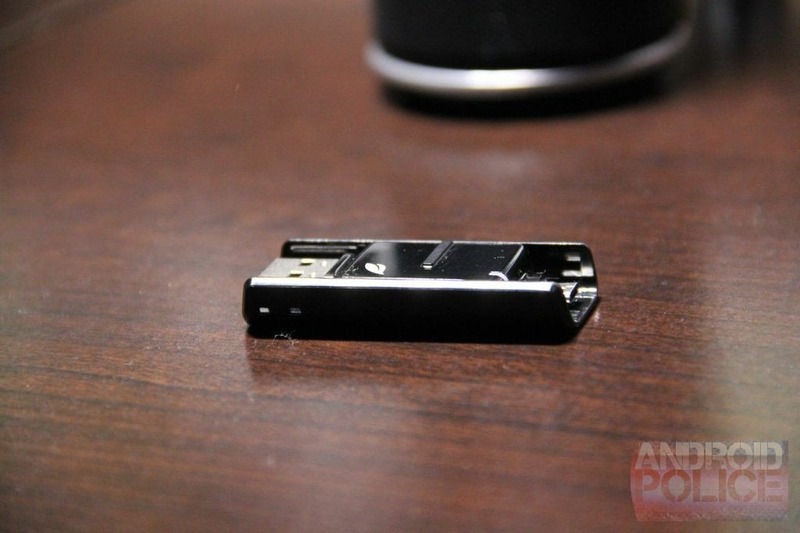 The usual USB connector sticks out of one end while a microUSB connector is tucked inside, facing in the opposite direction. Users simply slide out the port that they wish to use, similar to the SanDisk Cruzer models that have flooded the market for years now. 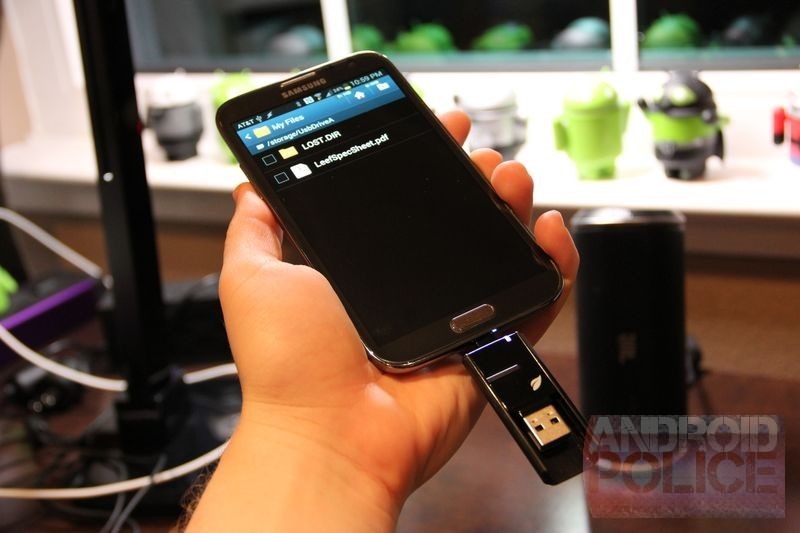 The drive is compatible with Android devices with support for USB OTG running Android 4.1 or higher. This unfortunately excludes the Nexus 4, which lacks the former requirement. 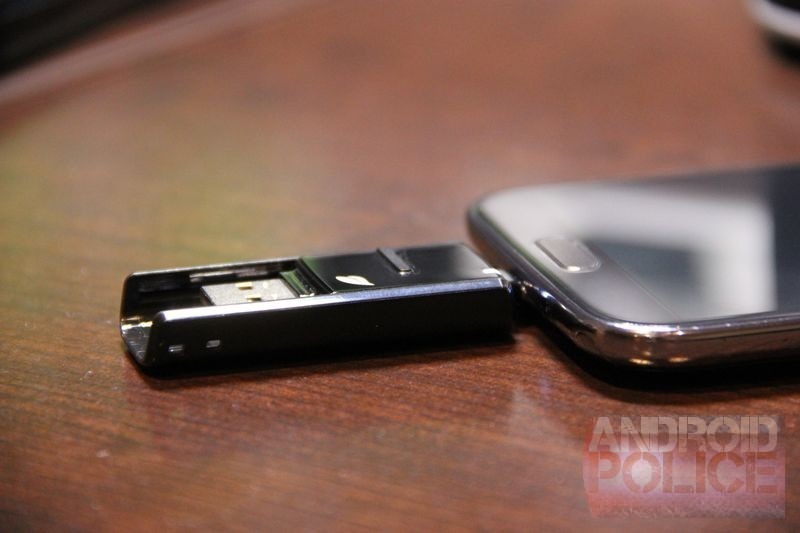 But when we plugged the Leef Bridge into a Galaxy Note II, Samsung's file browser opened automatically, just as we would expect if we were to plug the same drive into a PC. 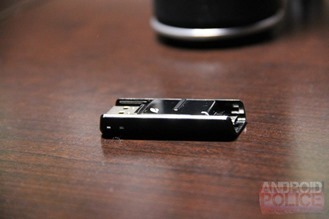 Like traditional flash drives, Leef Bridge does not transfer files between devices faster than using a dedicated cable. If you're never out of reach from a solid WiFi connection or 4G signal, you may lack the particular itch that this device scratches. That said, an internet connection doesn't hug us all as closely. Sometimes a flash drive is more reliable than a wireless signal and easier to carry than yet another bundled-up cable. There's also a certain comfort I get owning a 64GB flash drive when my primary computer, a Chromebook Pixel, only has 32GB of internal memory to work with. Leef Bridge is initially available for purchase in the USA from Leef directly or from Amazon for a suggested retail price of $17.99 for the 16GB model and $28.99 for the 32GB model. The pricing for the 64GB model, which is expected in stock in July, will be announced upon availability. The Leef Bridge isn't too expensive, but it's admittedly still cheaper just to invest in a USB OTG cable if convenience isn't a necessity. 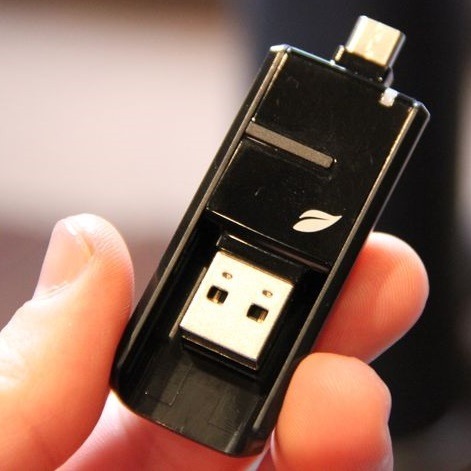 SAN FRANCISCO (June 25, 2013) – Leef Technology today announced Leef BridgeTM, the first USB flash drive for file sharing between Android phones and tablets, Macs and PCs. Leef Bridge is a simple, innovative USB flash drive that allows users to easily transfer files to other devices without the need for cables, cloud services, Wi-Fi or any type of data connection. Leef Bridge features a micro USB connector and full-size USB connector that access the same memory so users can share content, photos, videos, music and documents to and from any compatible device. The memory utilized within Leef Bridge has fast read and write speeds to ensure slick video and music playback directly from the USB drive, without the interruptions or delays that accompany low-grade USB flash drive products. Designed in California by the Leef design team, Leef Bridge boasts a unique design featuring an exposed slide-and-lock tray, which enables users to easily switch to the USB connector appropriate for their device connection. 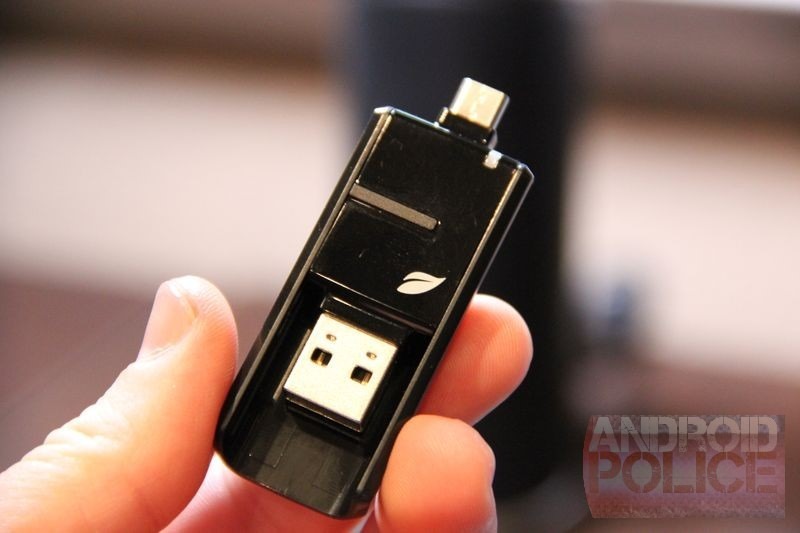 Leef Bridge is currently compatible with mobile devices operating Android Jelly Bean OS 4.1 or higher and a micro USB On-The-Go (OTG) connector. Metago, the company behind ASTRO File Manager – the most downloaded content management application in the Android ecosystem – has teamed up with Leef to release an updated version of their app that provides users with a seamless experience using Leef Bridge and ASTRO File Manager. Instructions to download the app from Google Play are included on Leef’s product packaging. Although ASTRO File Manager is not required to be able to use Leef Bridge, it is recommended by the Leef design team for its intuitive file management system. Leef Bridge is the latest addition to the company’s product set, which includes quality USB flash drives that demonstrate a variety of innovative materials and design features. The company’s approach to design was recognized in 2012 by PC Magazine – Russian Edition, which awarded Leef Fuse – the first patented USB drive with magnetic closure – “Best of the Year 2012” in the flash drive category. Leef Bridge is initially available for purchase in the USA at www.amazon.com and www.2Leef.com for a suggested retail price of $17.99 for the 16GB model and $28.99 for the 32GB model. The pricing for the 64GB model, which is expected in stock in July, will be announced upon availability. In addition, Leef Bridge is available for purchase at leading retailers in several international markets, including Russia, Asia and Central Europe. Ouya Official Launch Version Review: No.